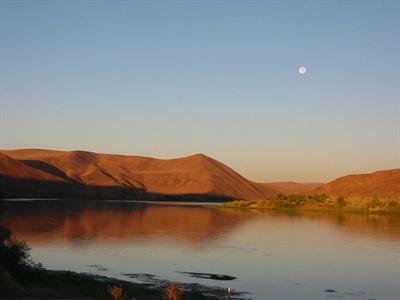 Catfish Junction RV Park in Huntington, Oregon offers the finest Snake River camping! 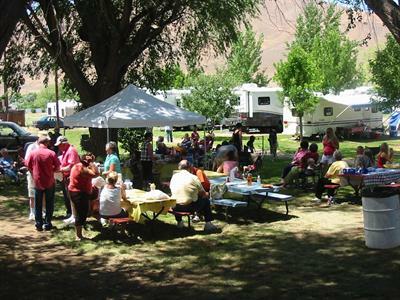 Nestled on the Snake River in Oregon Trail country, Catfish Junction RV Park is the finest camping facility in the Huntington, Oregon area. Here, you will be able to enjoy the outdoors and truly relax in the quiet of the countryside. The Oregon campground offers over 900 feet of river frontage,clean restrooms and showers, excellent amenities, and friendly service. Whether you come in a class A motorhome or plan to pitch a tent, you are guaranteed to have the best time at this Huntington Oregon RV park. 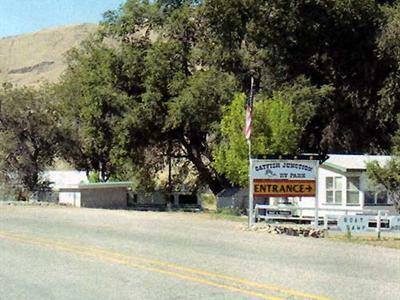 Come and enjoy your stay at Catfish Junction, the best Malheur County camping. Outdoor activities abound at this unique Oregon campground. The resort features "some of the best catfishing in Oregon," so fishing is the number one activity at Catfish Junction RV Park. The spring and summer brings an abundance of catfish, crappie, and smallmouth bass. This Huntington Oregon RV park provides two concrete boat ramps for easy access to the Snake River with vehicle and trailer parking, and a fish cleaning station. Catfish Junction RV Park also offers a convenience store, bait & tackle, and day fishing licenses. Other river activities include tubing the river, swimming, boating bird watching and looking for wild life, Or you can always just relax on the river banks. It will become clear that Catfish Junction RV Park is the best Malheur County camping experience.Good Sam Park. The fun continues at this Oregon campground with outdoor games; play volleyball, basketball, or an old-fashioned game of horseshoes. There is a lovely picnic area where guests can enjoy an outdoor meal, or gather around a fire pit for a fish bake. The game room features Ping-Pong and card & board games. Saturday night is movie night, so bring your popcorn and snacks. Catfish Junction RV Park also hosts many special events and themed weekends throughout the camping season. Memorial Weekend join us in Huntington for the ninth annual "Hookers & Cookers" Catfish cook-off,And 31st annual Catfish Derby.Other planned activities include 4th of July Ice cream social, and Scavenger hunt, and join us in Huntington Sept.3rd for our annual Car Show. There is no end to family fun at this Huntington Oregon RV park. When it's time to get out and about, the surrounding area will not disappoint. This Oregon campground is just minutes from the Ontario Cultural Center, Historical Downtown Huntington, www.visithuntingtonor.org Oregon Trail Interpretive Center and local golf courses. Hells Canyon and the Weiser River Hiking Trails are under an hour away. 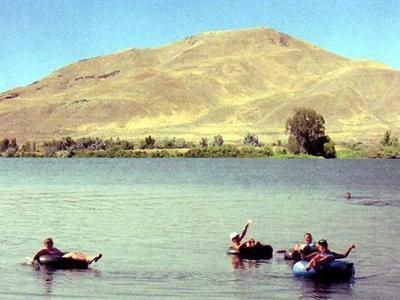 Relax on the beautiful Snake River! You'll find all the activities that will make your Malheur County camping trip a memorable one. Come and enjoy your stay as you fish, hunt, boat, hike, bike or just relax on the river at The Catfish Junction RV Park!